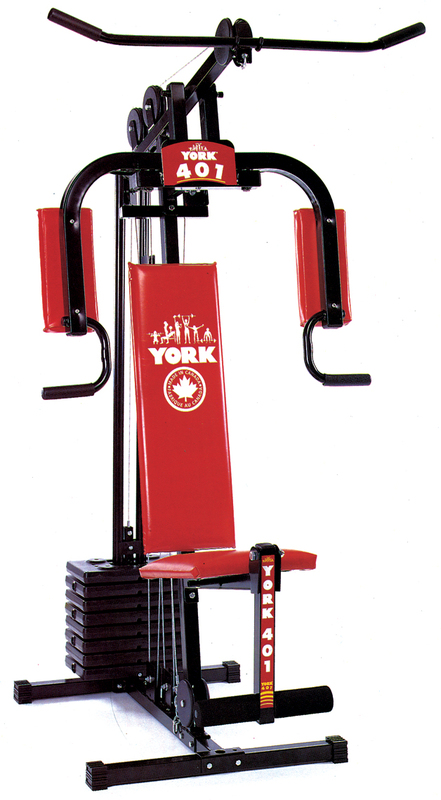 The York 9600 A Enforcer bench is designed for use with the 9600 B Squat Rack. 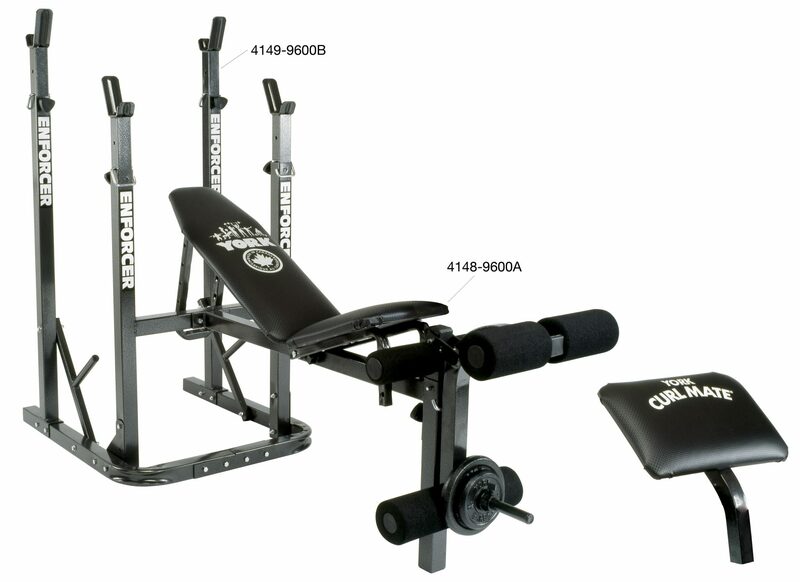 It comes with an arm curl and a leg developer attachment to round out your workout. 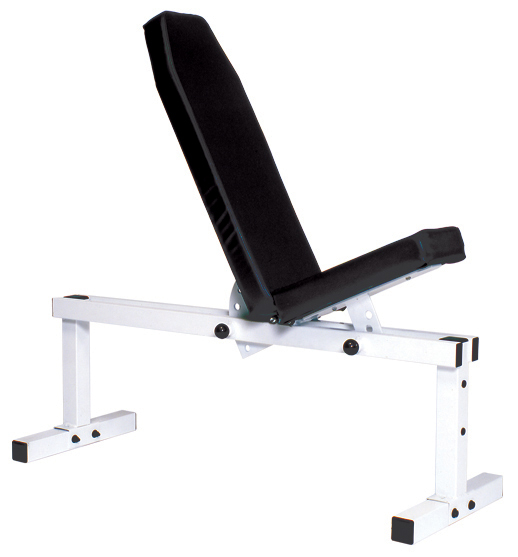 The incline backrest is adjustable to five different positions and the seat pad is adjustable to 3 different positions. 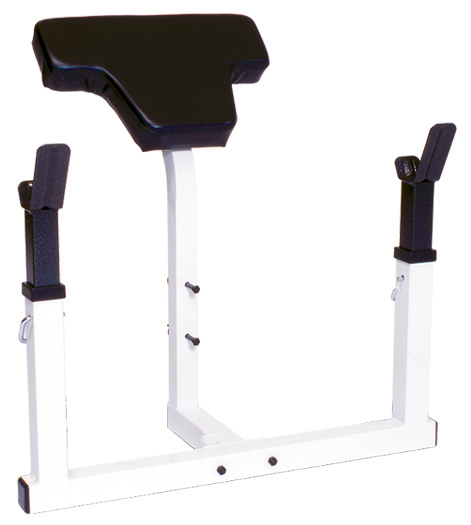 The 4 position adjustable uprights can accommodate both standard and Olympic bars. This unit has an attractive finish and is crafted from rectangular tube steel for stability. The leg developer attachment accepts standard plates and the foam roller pads are as durable as they are comfortable to use. 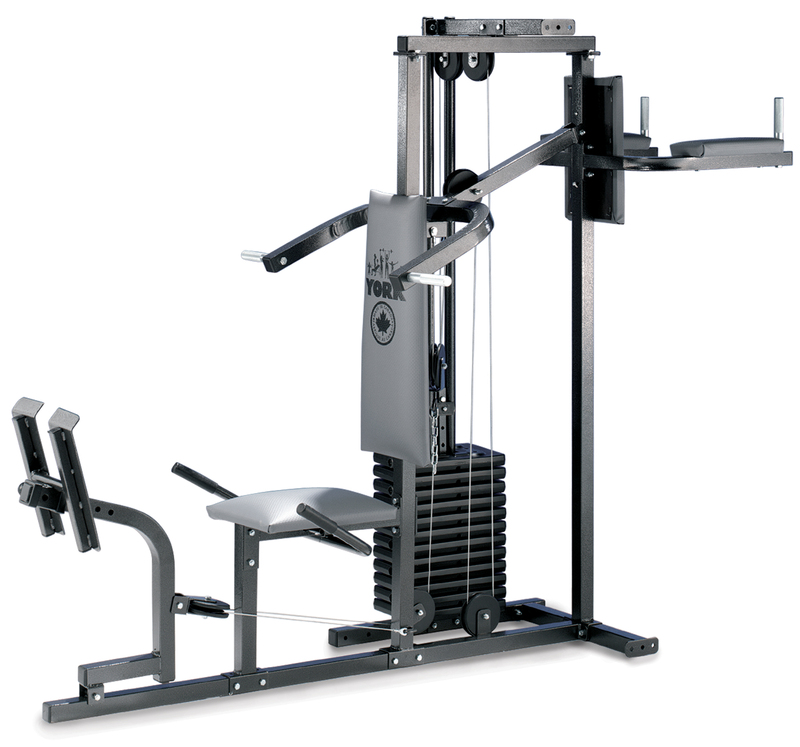 The 9600 B Squat Rack attaches easily to create a cohesive, fully functional multi-station that offers everything you need for a dynamic workout.